The Garda Commissioner Drew Harris has said he will look sympathetically at the cases of gardaí who have been denied promotion because of vexatious complaints but insisted that he wanted to make sure their behaviour was exemplary. Earlier today, middle-ranking gardaí strongly had criticised the Garda Commissioner for not approving promotions in cases where complaints have been made against gardaí without any wrongdoing having been established. The Garda Commissioner has decided in some cases not to approve the promotion of gardaí who have been successful in recruitment competitions, particularly in cases where complaints have been made against the officers. Delegates at the Association of Garda Sergeants and Inspectors' conference said the vast majority of such complaints are vexatious but the process of vindication is taking too long. AGSI members said the process whereby the Garda Ombudsman investigates these cases takes too long and prevents the garda from securing promotion. 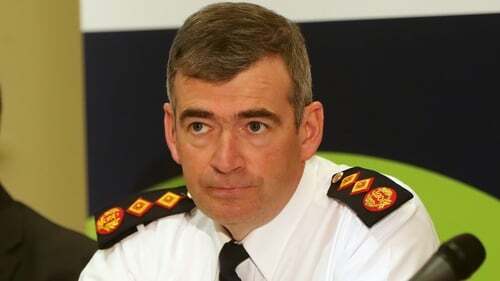 Responding to the criticism, the Commissioner said he would look at such cases sympathetically, and while he would not comment on the details of the investigation into the AGSI member alleged to have carried out prohibited outside security work, Commissioner Harris said the case was being dealt with expeditiously and he would make a decision when he received the papers. He also stressed the importance of all gardaí being seen to be above reproach. Officers are also calling for the introduction of standard operating procedures and protocols for gardaí policing evictions. Officers from Roscommon and Longford say the issue is damaging the relationship the gardaí have with the community, who in many cases do not recognise that the gardaí are not involved in these evictions but are present only to keep the peace. Commissioner Harris declined to comment today on the controversy surrounding his arrival into Garda Headquarters last month in a PSNI jeep accompanied by armed PSNI officers. Commissioner Harris would not say if he would approve a similar arrangement for the Taoiseach or Government ministers whereby a foreign police service would be permitted to accompany them armed into Government Buildings in a foreign-registered police vehicle. On the issue of ATM robberies, the Commissioner said it was more likely a number of criminal gangs were involved in the crime on both sides of the border, copying each other’s methods. He also said it was still not clear what sort of Brexit was going to occur but terrorist activity and organised crime remained a threat to the security of the State. Mr Harris insisted that gardaí have been building up resources along the Border for the past year and a half and that would continue.